The IBL (Irondale Baseball League) welcomes you to our 62nd season of baseball for youth living in the 621 School District. The IBL and its volunteers annually offer a quality baseball experience to hundreds of youth in our communities. Our goal is to provide a positive baseball learning experience especially for players, volunteer coaches and umpires, as well as for families and spectators. The IBL offers an instructional program in a competitive environment. Teamwork, sportsmanship, playing hard, giving your best, and having fun are emphasized. 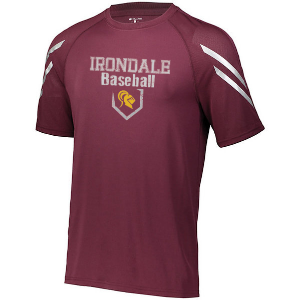 Get ready for the 2019 season with some new Irondale Youth Baseball gear!